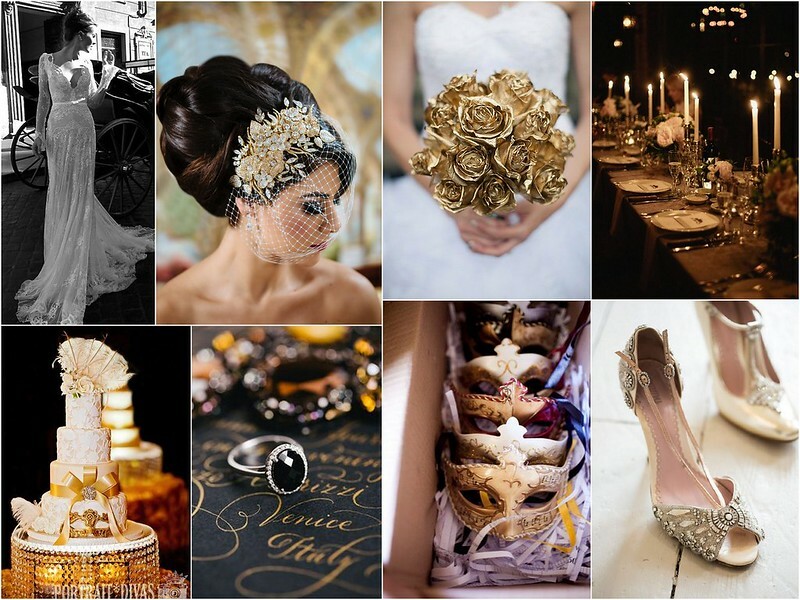 Elaborate, couture, and fabulous, the Carnival of Venice is a festival we know every bride with a sense of the dramatic would love! Since the 12th century, the month of February has marked Carnival for Venetians, a time when the city’s proud tradition of masks and balls comes alive. Venice alone is a fantastic spot to for a destination wedding (just ask George and Amal! ), but during the splendor of Carnival? Extraordinary! Of course you don’t need to travel to Italy’s storied floating city to inspire the mystery, romance and beauty of Carnival on your wedding day…although it does provide the perfect excuse for a trip! Capture the drama and richness of Carnival through a candlelit palette of deep red and burnished gold. 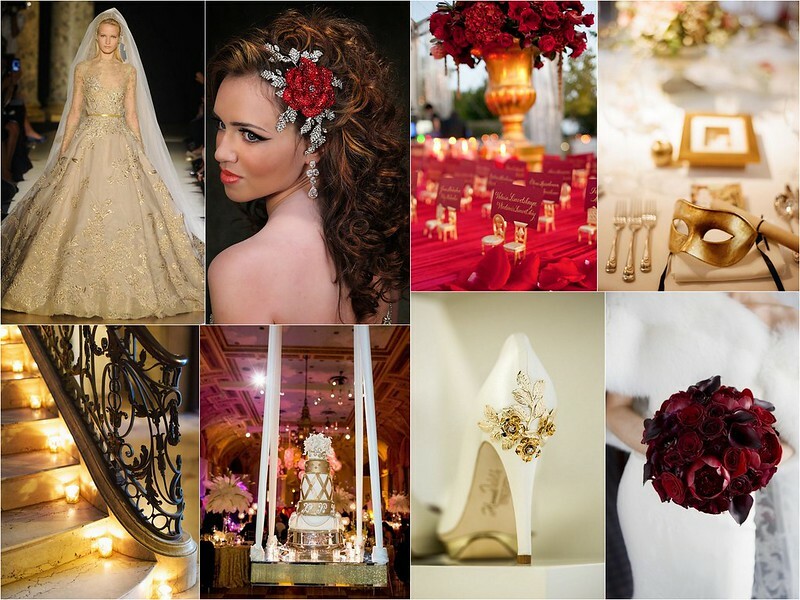 Make your grand entrance in an ornate gown of gilded lace, a golden mask and a sparkling red rose hair comb. Play with the notion of Venice’s glittering lagoons and elegance through white paired with golden tones. Carry a bouquet that King Midas touched, and choose a lace gown with a sleek silhouette. Finish the look with a gold and crystal headpiece and, in lieu of a mask, veil your face in a French Net blusher. To find the perfect accessories for your masquerade-inspired wedding, visit us at our Brooklyn boutique! This entry was posted on Wednesday, January 14th, 2015 at 12:16 pm	and is filed under Inspiration. You can follow any responses to this entry through the RSS 2.0 feed. You can skip to the end and leave a response. Pinging is currently not allowed.